Toronto’s winters deliver snow, wind, cold and rain, all of which have the ability to damage your brick chimney. As the end of winter approaches and spring sits perched on the horizon, it’s near time to inspect your brick masonry chimney for signs of damages caused during winter. 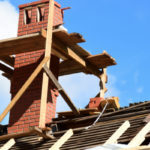 Allow us to go over some of the most common winter-related chimney damages in Toronto that you should check for in the spring. 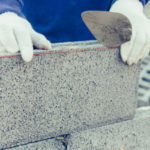 You won’t necessarily see a chimney leak and go: “Oh, must be a chimney leak!” Instead, there are certain signs you can look out for that signals the need to call out a masonry repair specialist. They will be able to locate the leak if there is one. Water leaks can create a whirlwind of costly damage to your chimney. 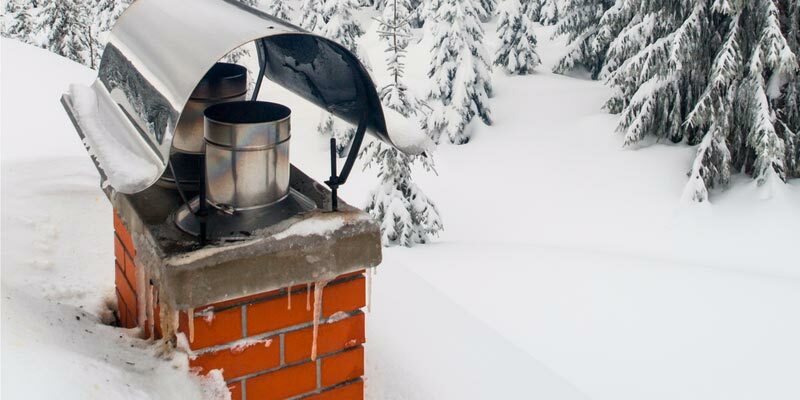 In fact, winter leaks are known as your chimney’s absolute worst enemy. 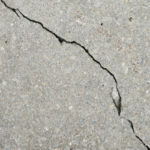 A cold winter that brings below freezing temperatures has the ability to cause spalling that in turn produces leaks. If you notice any of the above signs, contact a masonry professional to take a look at your chimney to determine if there is a leak. You want to fix chimney leaks as soon as possible to prevent worsening damage and more costly repairs. A period of freeze thaw cycles, such as what happens during Toronto’s winters, is a leading cause of spaling bricks. If water gets into your masonry, via a leak, lack of appropriate sealant, drainage issues or anything else, it can become trapped there. Once moisture is trapped inside of brick it freezes and thaws as temperatures fluctuate. When it freezes, the water expands and puts pressure on bricks and mortar. And when it thaws, it decreases in mass. 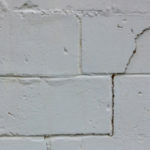 As this process occurs over and over it leads to unsustainable pressure that eventually causes crumbly failing mortar and spalling bricks, or bricks that fall out of the wall completely. Unlike spalling bricks, it’s not as easy to see your chimney cap and damper, which are located at the tip-top of your chimney. Unless you regularly spend time up on your roof you might not even know your chimney cap and/or damper are damaged. If your chimney cap and damper are damaged your chimney cannot run at peak efficiency, wasting energy and money. Since the chimney cap is responsible for preventing water from getting inside of your chimney, your chimney is at a greater risk for several types of water damage. If the damper is left open or broken it’s pretty much the same thing as leaving a window in your home open. An open damper lets cold air in, as well as water and bugs. Plus, animals are more likely to build a nest on top of your chimney if there’s no damper or cap secured in place. If the damper is stuck closed, perhaps because there’s an animal nesting on top or it’s broken for a different reason, you won’t be able to start a fire. That’s because a closed flue prevents your chimney from filtering smoke and gasses. A cracked or damaged chimney cap is common during cold weather when temperatures dip below freezing. Cracked chimney caps are a fairly simple fix, especially when taken care of right away. Ignoring issues with your damper or chimney cap will result in the development of more severe chimney issues, eventually putting your safety and the integrity of your chimney at risk. When Should You Have Your Chimney Inspected? The best time to have your chimney inspected is right before the start of winter or after winter in the spring. You use your fireplace the most in winter, so it’s important to a) make sure it’s working properly before it gets used on a regular basis again, and b) make sure that it incurred no damages during heavy winter usage. Even if your chimney is inspected in spring, there’s still a chance for issues to build up during the off-season, even in summer when your chimney is not in use. That’s why it’s ideal to have your chimney inspected right before you fire it up again for winter. Contact Turnbull Masonry for all Toronto chimney repairs, restorations and full rebuilds.